Join me in practising Happiness!!! Welcome to the space where the magic of writing Haiku; Poems happens as the words born in my heart flow and quietly spill just like your smile does here in the NOW and I pick it and keep in my heart..
Have a good time with RS here.. I am passionate about life and love to live it fully.. accepting whatever it offers. Have always tried to move from 'Ordinary' to atleast 'A little more than ordinary' state. No great achievements but then I try to stay in a happier state of mind most of the times.. and writing for me is part of the flow.. it just happens.. The blogs I like and follow/ followed.. 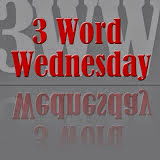 In celebration of valentine's day spirit-Less is More! 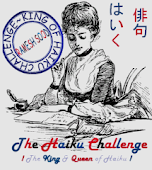 Voted as Haiku Challenge King by blogger friends from all over. Thanks to SiS of Few Miles for this challenge. A Joyous, Brighter, Happier Diwali for Her..
जब साँझ ढले Gangs of Mango Trees.. Visitors to my page since May 13, 2010. YOU MAKE ME SO HAPPY. HOPE YOU ENJOYED BEING HERE..